How much do you think central ac cost? Guess… Ok, I won’t bore you. Central air conditioner prices average for a 13 SEER rating and 3.5 ton are $2,643. This is just air conditioner, NO furnace unit… scaring huh? The average came from five different brands. It would be great if I could tell you the brand, unfortunately, I can’t. No, man in black suit is not going to come after me. How Much Does your Central Air Conditioner Cost? As of January 2006, 13 SEER rating is the minimum ac SEER accepted in the Unite State. If you’re planning to buy air conditioners with higher seer rating and more Ton the HVAC price will be higher than this. Central ac units with 5 tons and 18 seer rating would cost about 3 to 5 grand or even more. This is just air conditioner units. It does not include the heating units. The central air conditioner prices below are my estimation from different brands. Take it as my opinion not as facts. How much does it cost to install central air conditioner unit? The price to install central air conditioner units with heating unit is between $6,500 and $15,000. The HVAC installation costs are for complete heating and cooling system and labor cost. To get little more accurate price in your area, check out the links below. Furnace unit and the evaporator, it’s inside. Don’t worry your central heating and cooling will be new! 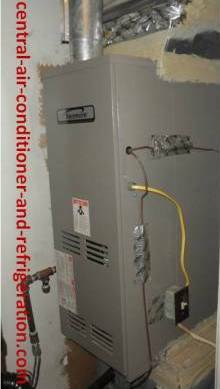 To replace central air units and furnace unit without distribution system is between $5,000 and $10,000. If we paid HVAC contractor $5,700.00 to replace central air conditioner units with furnace I would said that good deal. To install central air conditioner units with duct work is between $10,000 and $15,000 or more. There are some areas that will charge less. What determine central air conditioner prices? Central air conditioner unit with 10 years warranty is more expensive than a central ac unit with 5 year warranty. Some central air conditioner units will have 5 year warranty on parts and other will have 10 years warranty on the air conditioner compressors. There seems to be little confused above the warranty. Having warranty does not mean the company will pay for labor cost. They will ONLY pay for part that fails. We still pay for labor cost. Is the central air conditioner brand important? The brands name does determine how high or low the central air conditioner prices are. There are ac brand out there that is expensive. This what you need to consider, what is the difference between brand? Some air conditioner companies market their central air units under different trade name. Carrier air conditioner owns Payne and Tempstar. The company markets their central air unit under these brand names. Rheem and Ruud are similar ac units and its market under different brand. Goodman markets their air conditioner units under the brand name GmC, Goodman, Janitrol and Amana. What the difference in major components? Not a lot. 13 SEER rating is the least efficiency central air units that could install in the United State. If you prefer higher energy efficient air conditioners you have to pay more. Central air conditioner units with 18 or 19 seer ratings will cost more. The air conditioner ton is estimate from the size of the house. For example, if you have 2,500 sq ft house, you be look at 4 tons ac unit (don’t quote me on that). You’ll pay hvac contractor more with a bigger house. The central air conditioner prices on a 4 tons central air unit are more expensive than 1.5 ton ac units. What is the best brand for central air conditioner units? The most important task homeowners should be concerning with is selecting contractor. It does not matter if you had the top brand air conditioner unit or bought the best central air conditioner with higher seer rating. It all comes down to contractor. The efficiency of the central air unit is determined from the installation of the central air units. If the installation is poorly done, you might as well have the least efficiency air conditioner units. If you had done your homework and you pick the best hvac contractor, let’s the contractor selects the best brand. He is the person that will be installing the central air conditioner units. Why the installation costs and central air cost are so expensive? The prices to install central air conditioner units are expensive to homeowners. Some people complaint hvac contractor ripping them off or scam. Yes, there are scams out there, but not the contractor that has been in business for 5 or 10 years. This is the basic guideline contractor follow to install central air conditioner unit. 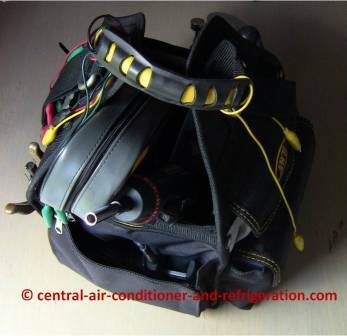 From this basic guideline, you’ll understand why it’s expensive to install central air conditioner units. You need permit to install central air conditioner units and afterward a person has to inspect the ac units. This is the only way to find out if the central air units have pass local code. Getting permit cost money. Some cities charge different price for permits. Hvac contractor has license to install central air conditioner units. Some does not have electrical license, so he has to hire electrician to power central air units. The average central air conditioner prices to buy minimum SEER rating (13 seers) central air conditioner unit is $2,643. Imagine having to buy 20 seers central ac unit with 5 ton. You probably are look at 4 or 5 grand or even more. Installing central air conditioner unit is not one man job. You need 2 or 3 people to install it. It costs contractor money to hire hvac technician to work for him. The material cost would be the nitrogen, insulator, recovering machine, tanks, ac Freon and so many others. Air conditioner refrigerant is the most troublesome substance. It’s illegal to release air conditioner Freon, so after using all the ac Freon. 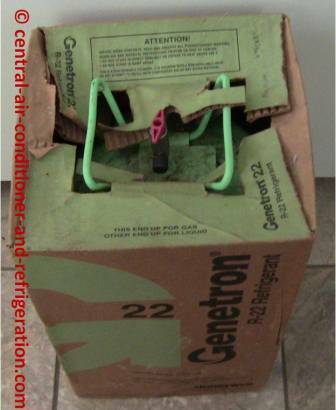 The remaining small amount of refrigerant gas has to be recovers and pull the refrigerant tank in deep vacuum. After the tank is on deep vacuum, the contractor pays other manufactory to demolish the refrigerant tanks. It costs hvac contractor money to buy air conditioner refrigerant, but it also cost money to demolish the deep vacuum tank. Some hvac contract has a duct shop and other have to hire subcontractor to put the duct system together. 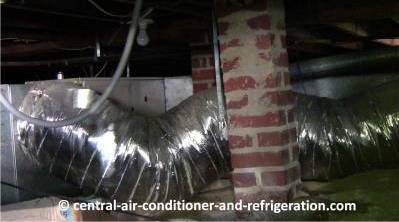 Installing new duct system increase central air conditioner prices in thousand or more. This is the tool needed to install central air conditioner units. The hvac tools are not cheap. Once it damages, it’s expensive to buy. Hvac tool costs in hundred or even thousand of dollar. Most hvac tools require license to buy it. This is the entire tool we need – to repair and replace. Just joking :) sorry - can’t help myself. I hope these basic guidelines explain why it’s expensive to installing central air conditioner. Installing central air conditioning units are not easy for contractor. Everything, he installs has to follow local code and is safe for homeowners. 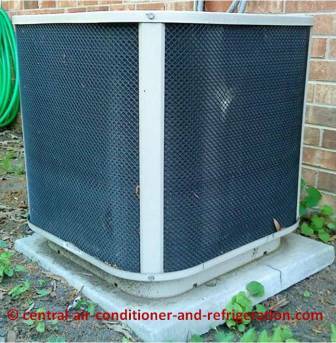 What Is The Cost To Replace Your Central Air Conditioner Units? How much did it cost to put heating and central air conditioner units in your home? What the central air conditioner prices range in your area? Share it with us! Click below to see some prices range for central air conditioner units and heating units in your area. Hvac guys replace my air conditioner for 900 dollar!